Dodging in Red Dead Redemption 2 is a bit tricky. Everyone knows it’s there – we’ve all seen it in various footage – but not many people know how to do it. The reason for this is that the game does a terrible job of explaining how to use it. It’s a useful skill to master, as it allows you to avoid incoming attacks and dive into cover quickly. If you’re still baffled by it, this guide will help you by showing you how to dodge in Red Dead Redemption 2. How to dodge roll in RDR2? 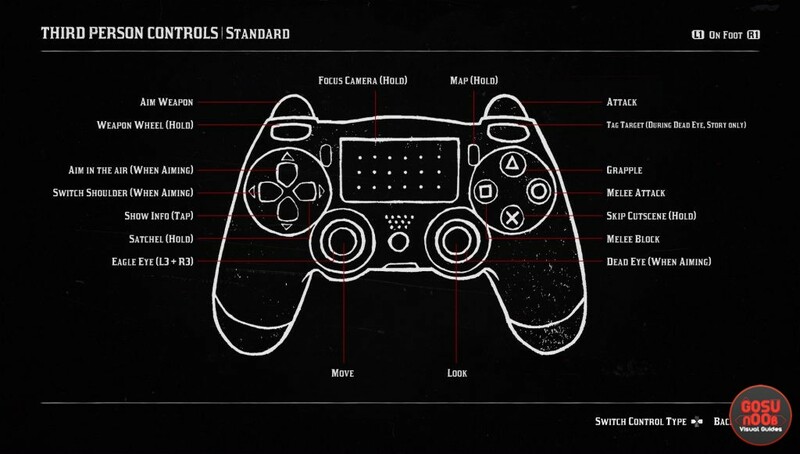 If you check the game’s control settings, you’ll notice none of the commands is labeled with “dodge”. You’d think there isn’t an option to dodge, when in fact, there is. In order to throw yourself to the ground in the face of danger, all you need to do is aim your rifle using L2 (LT on Xbox), then press square (X on Xbox). Your character will jump in the direction your were moving. This works both in the single player portion and in Red Dead Online. Although it works great when you need to get behind cover in a rush or avoid a charging bison, it’s not magic. There are downsides to it. First of all, your character needs time to get back on their feet after performing a roll. During this time, you’ll have no control over them. Then there’s the fact that dodging drains your stamina core. If you do it recklessly, you’ll find yourself out of breath soon enough. Obviously, it’s a double-edged sword. It’s a useful feature, but you shouldn’t overdo it. Give it a try, just make sure you keep your eye on the stamina core at all times. Once you’ve mastered it, you can decide whether it’s your kind of thing.